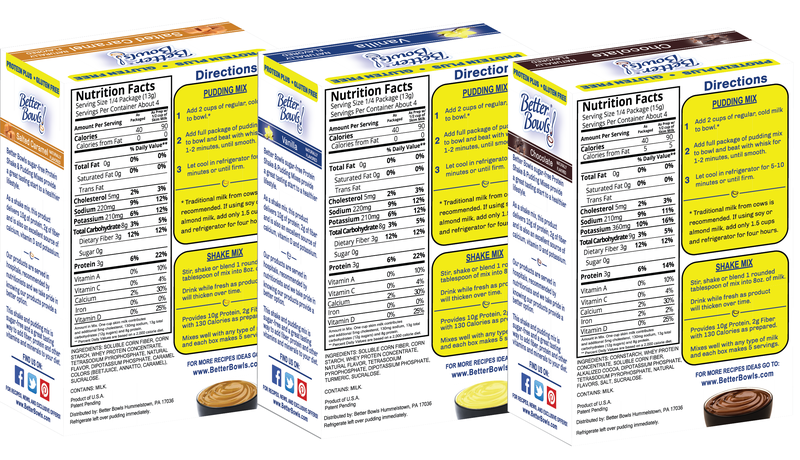 Better Bowls great tasting and healthy sugar-free pudding mixes are made with Splenda and are high in Fiber. Our pudding mixes are great for making quick and healthy snacks & desserts and everyone in the family will love them! – If using Soy, Almond or Cashew milk prepare with 1.5 cups and allow 3 hours to set. Rice and Coconut milk is not recommended.